The world has been moving fast towards the globalization. The East Asia (including Southeast Asian countries) and the Pacific are no exception. It is time we needed more than ever to understand each other across the various regions of the world, while preserving our respective identities. For mutual understanding and constructive communication, it is essential to have good command of languages. From this point of view, I sincerely wish the foreigners who come to Japan to learn the Japanese language and its cultural background. On the other hand, the Japanese who go abroad should do likewise in the countries they visit. B.A. at the Faculty of Letters, M.A. and Ph.D.at the Graduate Course of Humanities, the Tokyo University. Taught as Lecturer, Associate Professor and Professor of the Faculty of Letters at the Tokyo University and served as the Dean of the same Faculty from1993. Currently, Professor Emeritus of the Tokyo University and the Principal of Kurashiki Language Academy. For the last 20 years, while teaching as a Professor of Sociology and working as the Dean of Sociology Course of the Faculty of International Sociology of Kibi International University at Takahashi City in Okayama Prefecture, I also took the responsibility, as a Counselor of the University’s Foreign Student Center, of taking care of students coming from various countries abroad as well as making student-exchange program arrangements with Hawaii University(USA), Southern Taiwan University of Science and Technology(Taiwan) and Cheongju-si University (Korea). Through such an experience, I have come to realize the importance of receiving more students from those countries where I was dispatching Japanese students, and also offering foreign students the opportunities to learn the History and Culture of Japan through the language education. Hence I established Kurashiki Language Academy at my home town, and then Tokyo International Language Academy. 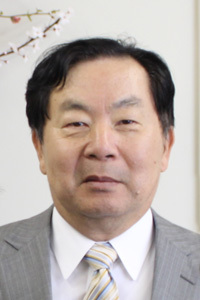 Our principal, Professor Nishimoto is quite experienced in the field of international educational exchanges and enjoys close contacts with many foreign students as well as graduate students as the leading scholar and Professor Emeritus of the Faculty of Letters at the Tokyo University. I am sure that our principal is greatly helpful in making students as well as staff of our school in every way more global-minded and knowledgeable. Graduate of the Department of French Literature, Faculty of Letters, the Tokyo University. Finished the Doctoral Course in French Literature, Paris IV, Sorbonne University. Lecturer at Seikei University in Tokyo, Associate Professor, Professor and Dearn of the Sociology Course of Kibi International University. 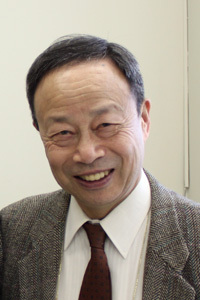 After retirement from the University in July, 2010, became the President of the Lapis Ltd., which has also established Kurashiki Language School under its management. Currently, visiting Professor of Hohhot University of Finance and Economics in China as well.